An updated Financial Analysis of the Industry report for 2018 provides information that systems integrators can use to benchmark and compare expenses, profits, sales, and other data against industry peers of similar size and business focus. The Financial Analysis of the Industry details the industry’s performance based on data collected from over 100 integration firms that participated in the 2018 “Cost of Doing Business” survey earlier this year. 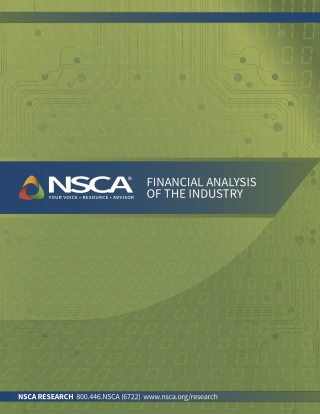 The information in the Financial Analysis of the Industry provides an in-depth look at integrator operations and dynamics, and helps NSCA members better understand the financial health of their own companies (and their firm’s performance compared to others). The report also includes verbatim responses about the biggest challenges integrators anticipate in future years. The report is available for download at www.nsca.org/research.